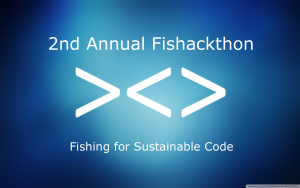 Fishackathon – Fishing for Sustainable Code | FISHING FURY - A Fishing Blog with Attitude! One of the biggest wasters of small but extremely important fishes in the ocean is the Salmon farming industry. For decades they have been removing massive amounts of these fish to feed them to the toxic farmed Atlantic salmon at a negative conversion rate. This means that for every 5 tons of small fishes removed from the ocean they only produce 1 ton of cancer causing farmed salmon. Yes cancer causing according to many researchers and doctors. Sounds like a bad deal for the Ocean and your health.